Chinese New Year is just around the corner on February 16th! In honor of this joyous occasion, we asked our crafty friend Brandy to share a fun and simple craft to celebrate Chinese New Year. What did she come back with? 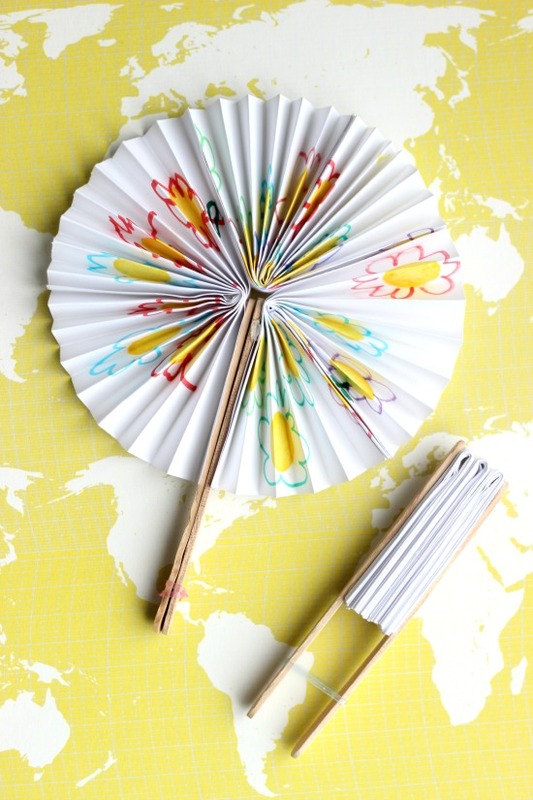 An adorable DIY fan activity! 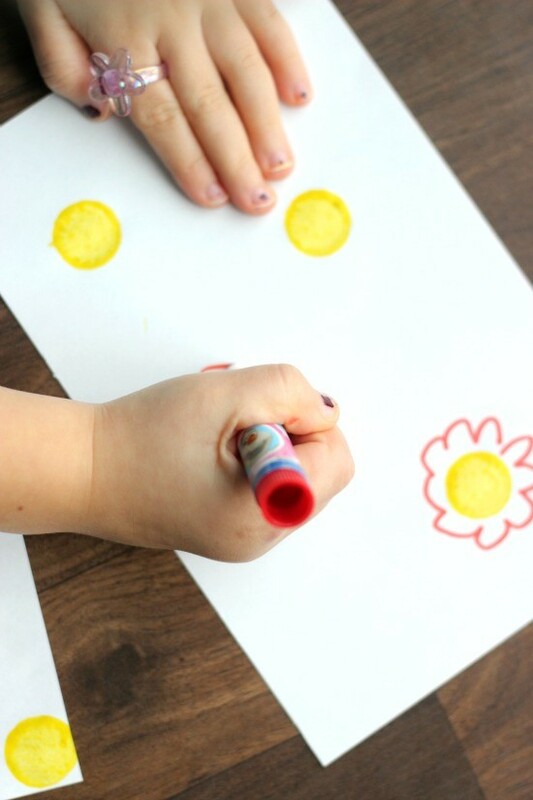 This is a great activity for little globetrotters to engage their crafty side, as well as a wonderful way for parents to showcase their child’s artwork. In ancient China, fans came in various shapes and forms, and were made in different materials such as silk, jade, bamboo and even feathers.The original Chinese fan, the circular tuánshàn 团扇, is said to have been modeled after the full moon, and signifies union and happiness. For over 3,000 years they have been used as a fashion statement, a way to keep cool or provide shade, and a way to display art. Fans are also viewed as good luck charms and expressions of generosity. 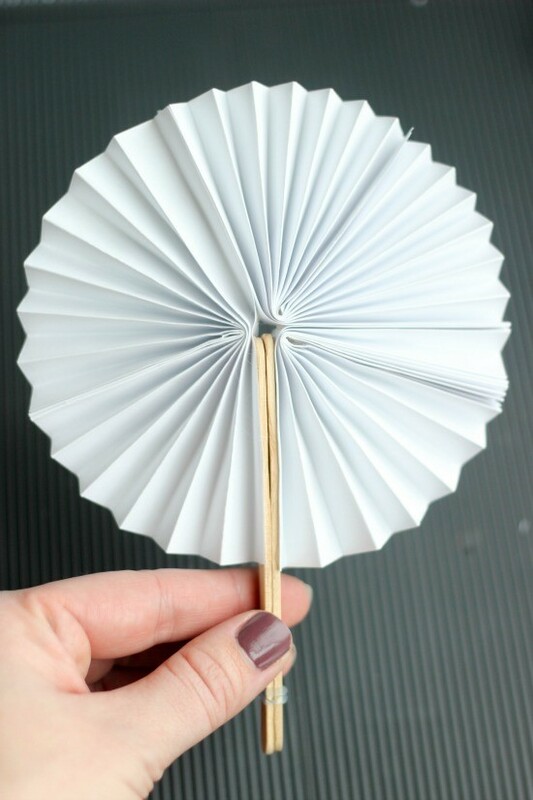 Check out how we make paper fans using plain white paper (copy paper offers the best weight). You can either have the kids decorate their paper first or use solid colors. Better yet, do you have pages and pages of your child’s art and drawings stacked up in the kitchen? This is a great craft to turn that art into an object! Step 1: Score each paper on the 1/2″ mark. You can fold it without scoring, but scoring will help children get even folds all the way across. Step 2: Accordion fold each piece of paper. 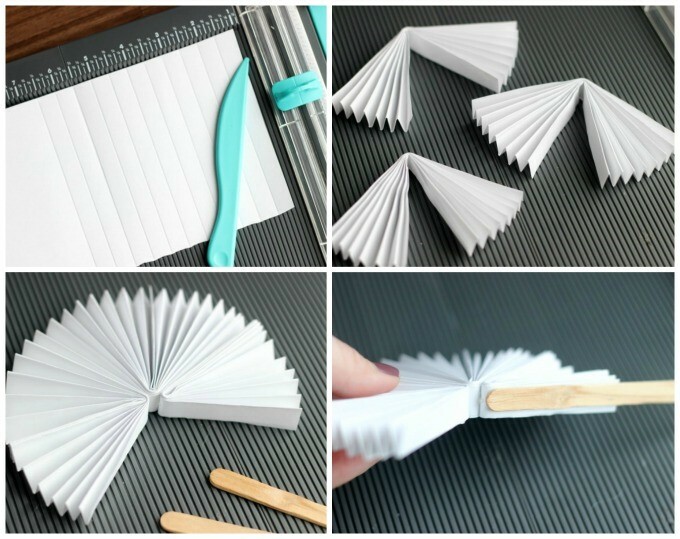 Then fold each paper in half. Step 3: Using a glue stick or hot glue, adhere each fan piece together until you have one seam left then glue a craft stick to each side. Close with a mini hair band and it is ready to travel with you! Step 4: Once dry, open up your fan and enjoy! 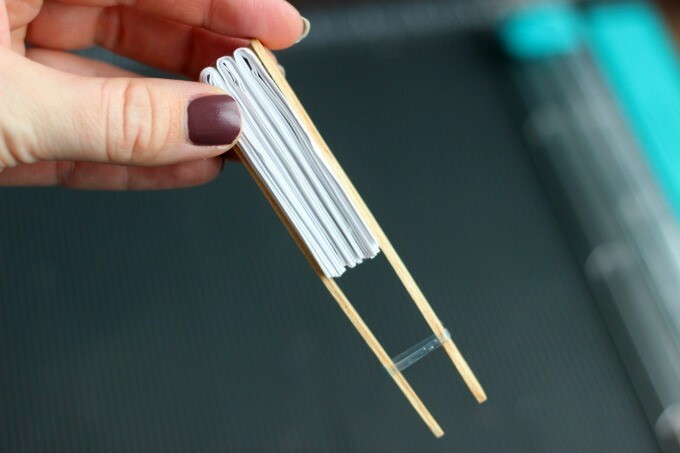 Tip: use the mini hair band to hold the craft sticks together when your fan is open. What a fun way to display all of those cute drawings that kids make! Want to read more from Brandy? See below! Northern Lights Activity for Kids! Brandy is a California girl married to an Alaskan boy. Theyve lived all over the country, moving where the Coast Guard sends them, and are parents to 4 children (and a black lab puppy). Brandy has been surrounded by creative influences her entire life. Her biggest mentors being her mother and grandmother. 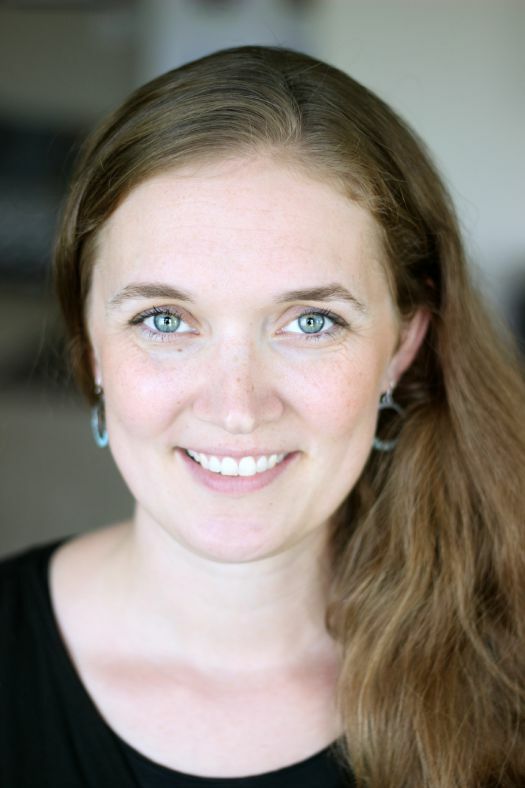 When she grew up and started to have a family of her own, her desire to create blossomed as she turned each new house into a home. Her blog, gluesticksblog.com, is a collection of some of her favorite kids activities, projects, recipes, and craft tutorials. 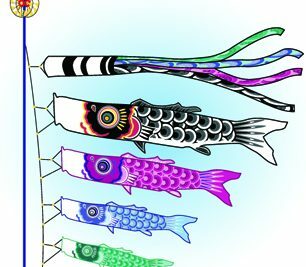 Learn the characteristics of your Chinese zodiac animal, and celebrate Chinese New Year! Thank you so much for your Chinese New Year Fan. we adopted our 12 year old daughter from China when she was a baby. I always look for opportunities to celebrate her special heritage. 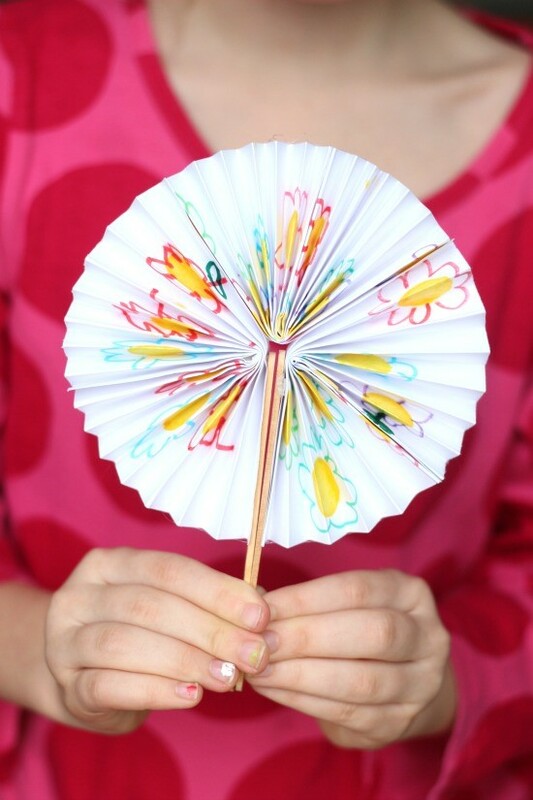 Our whole family will be making these fans on Sunday! They don’t require a lot of special supplies and are simple to do. This is also our little girls birthday weekend! We will have a great time! I am a Little Passport subscriber and a teacher in NZ. I made these fans with fourth graders today and they loved it. I am giving a Chinese dinner and will use the ideas for a fan, red envelopes with coins as favors for my guests. The Zodiac chart and human characteristics will provide interesting conversation.